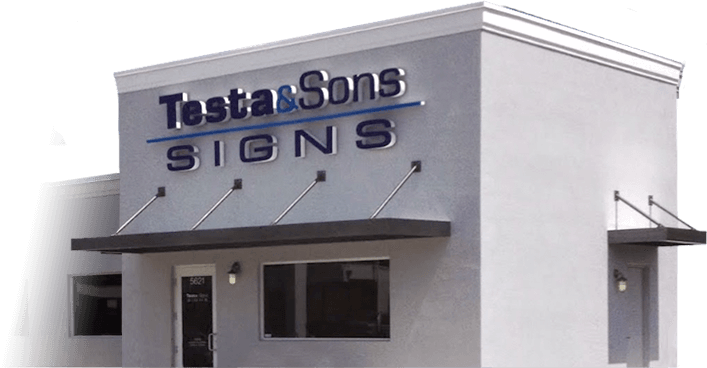 If you are looking for custom signs in Coconut Creek, look no further than Testa & Sons Signs! We are located in nearby Hollywood and have created many custom signs for businesses in Coconut Creek and the surrounding areas! We offer a professional, affordable option regardless of the size of your project. At Testa & Sons, we take our work seriously. We want to manufacture the best, highest quality custom signs for your business and community. Whether you need specific colors for an interior sign in an office building or letters that light up, we can create the sign you have in mind. Let us help you have the best custom sign in Coconut Creek. For all needs regarding sign manufacturing and installation, contact Testa & Sons. Don’t settle for second-grade services, contact the best today!